This Manly West GEM has been meticulously cared for by one owner since built by the reputable and trusted Fiteni Homes. Extremely well presented, with new floor coverings, fresh paint, newly sealed driveway and maintained to a standard that resembles a near new home. Natural light in abundance throughout, this attractive brick and tile home, delivers a low maintenance lifestyle in the Schooner Circuit / Hargreaves Road pocket of Manly West. Surrounded by quality homes and within a no through road, family friendly neighbourhood. Flowing interiors are enhanced by a large, single level layout & begins in the wide welcoming foyer, through to large formal lounge, separate dining room, and an additional generous family room adjoining the kitchen which includes ample cupboards, dishwasher, pantry and overlooks the shaded entertaining rear pergola. The 3 built in bedrooms are of considerable size and master includes, split system air conditioning, & walk through, double robes into the ensuite. 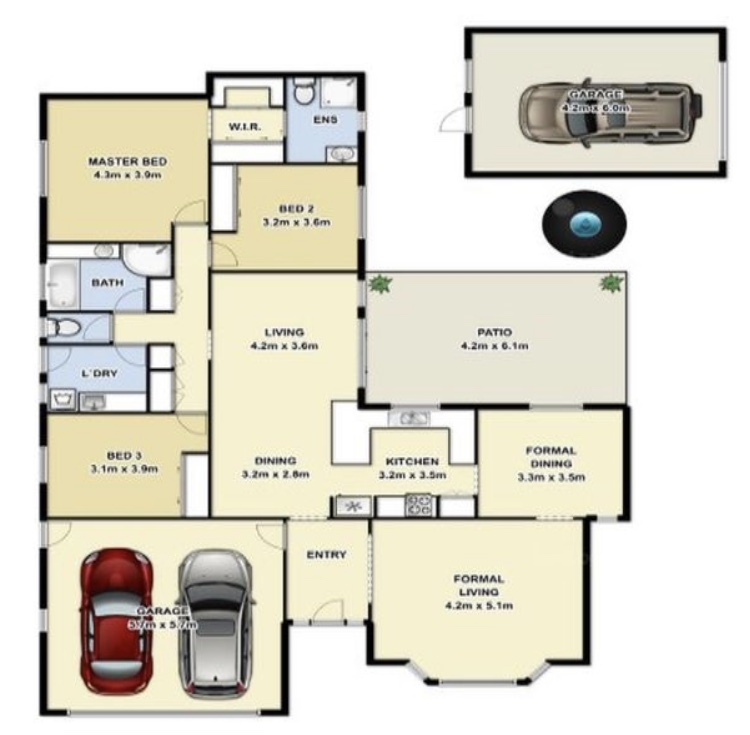 Double remote garage caters for the cars, and the single separate garage with second driveway can house the extra toys, recreational equipment, boat or a tinker shed. This peaceful residence sits on a 591m2, corner block, tree lined for shade & privacy and is exceptionally convenient to Community Health Services, great schools, Mayfair Shopping Village and minutes drive to Manly Foreshore and Esplanade activities. Arrange your own private viewing as soon as you can. This one is ready for the new owners to love, as did the previous ones.